I had the honor of preaching for Pastor Ed Hall who pastors the Heavenly Heights Baptist Church of Jacksonville, Fl., this past week end. He is a preacher boy from Dr. Ken Pledger’s church in Jacksonville. Dr. Pledger has a great ministry in Jacksonville and his two sons are doing a phenomenal work on the mission field with literally thousands trusting Christ with their trips to the mission field. Dr. Pledger, his two sons Tim and Chris, and many from his church came tonight for the service. 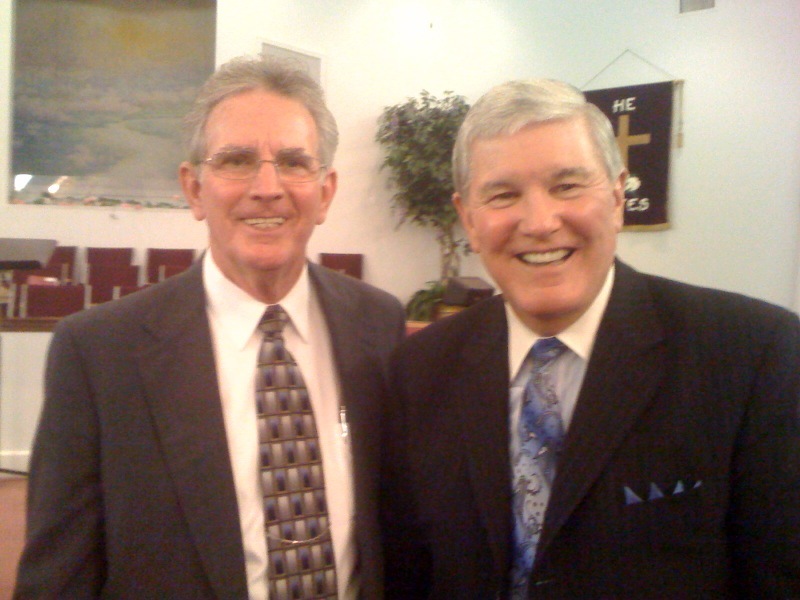 Dr. Pledger will be preaching Tuesday morning along with two other men of God. I am looking forward to the Tuesday meeting. Tonight I preached for the Monday night service the sermon, “Everything Rises Or Falls On Followship.” The altars were full and I was pleased with the liberty the Holy Spirit had for the night. The music was wonderful and blessed my heart. Pastor Hall has only been pastor here for one year. This Jacksonville area has the largest land mass in America. It has 1.5 million population! What a gold mind for souls! God allowed me to lead 8 precious souls to Christ through Sunday. Gotta love soul winning!